1. From My Publications page open the publication and click the Embed button of the issue you wish. 3. Choose the size of your page by selecting one of our predefined sizes. You can also select the Custom field and enter the size you wish or choose the Fit to area option which will fit the publication in your window automatically. You can also enter a starting page number for your publication. 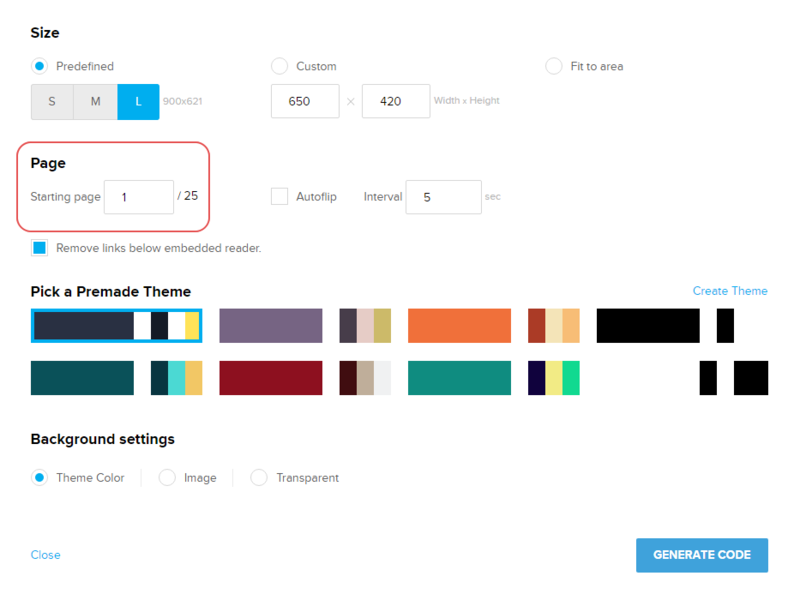 You can select a background color for your page or just choose the Transparent option. In case you don't want to choose a background color, you can also select a background image for your page. Once you're done click the GENERATE CODE button. 4. Copy the provided code in the popup window and paste it in your website. Learn more about embedding the issue on a WordPress site. Get more info about embedding the issue on a Joomla site. 5. 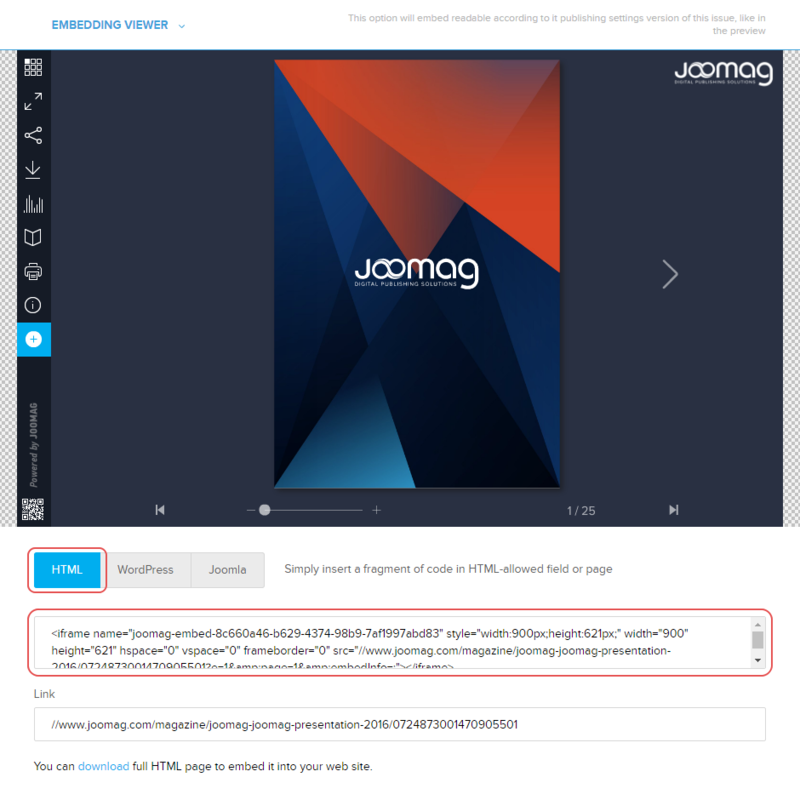 If you wish to download an HTML file with the embedded publication click the Download button which is at the bottom and upload the downloaded HTML file to your server. Otherwise just copy the embedded code and paste it in your website.